My garden is as crowded as my bookshelves, and Laura Ingalls Wilder is a good part of the reason why. I sit down to read, come across a plant, and then want to grow it. Here’s how it happens. Start, let’s say, with On the Banks of Plum Creek. By Chapter 2, the family is ready to move into Mr. Hanson’s dugout on their new farm. Jack the brindle bulldog runs ahead along the path with Laura close on his heels. When she arrives, she finds “singing flowers”—morning glories, that is—climbing around the door to the dugout with colorful, funnel-shaped blooms. I’m now smitten with the desire to plant morning glories of my own. Luckily it isn’t too hard. Morning glories are hardy annuals that bloom all across the country. One of my favorites is ‘Heavenly Blue.’ To give them a boost, soak the seeds for 24 hours before you plant them. They’ll germinate faster. This year I’m going to try ‘Grandpa Ott,’ a deep purple variety with a pink throat. 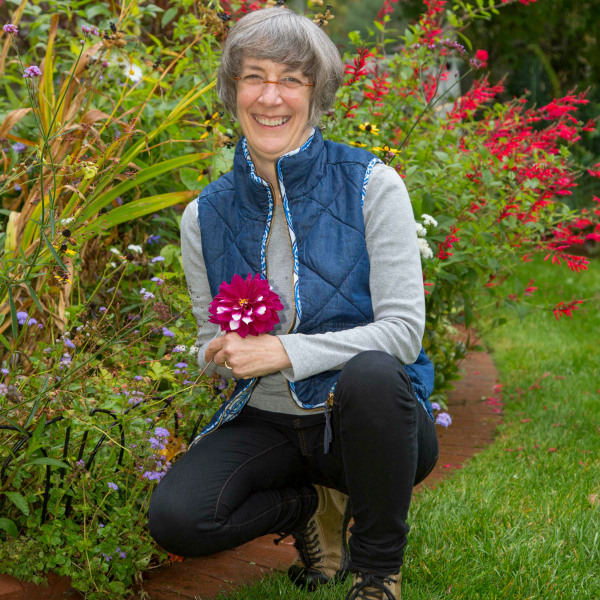 The founder of Seed Savers Exchange, Diane Ott Wheatley, saved the seed from her grandfather’s Iowa farm. Mrs. Wilder would have approved. 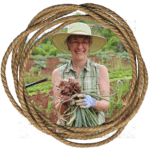 As a happy coincidence, the headquarters of Seed Savers Exchange is less than eight miles from Burr Oak, Iowa, where Laura lived with her family. While I don’t have a dugout in my garden, purple morning glories should look very nice singing their way up the white trellis next to the porch. Flag irises are a great example. They appear in Plum Creek, Pioneer Girl, in a 1947 letter that she wrote to a Decorah, Iowa newspaper, and in “A Bouquet of Wild Flowers” published in the Missouri Ruralist in 1917. Wilder captured the memories of these “flags” growing in damp places along creek and river edges at various family homes during her childhood. Almanzo added one in a bouquet that he picked for her at Rocky Ridge Farm. 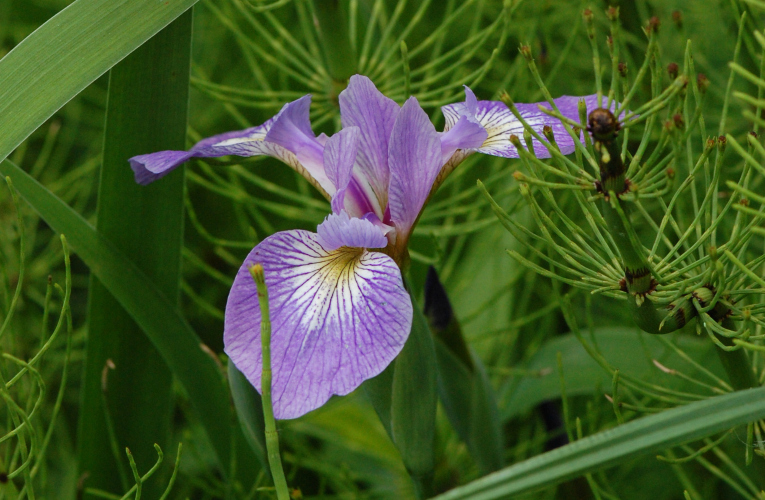 There are two similar-but-different wild irises, a northern variety in areas like Walnut Grove, Minnesota and a southern cousin common to states like Iowa and Missouri. Since I live in New Jersey, I mail-ordered three southern blue flag plants from Prairie Moon Nursery in Winona, Minnesota, less than an hour from Pepin, Wisconsin, where it all began. (Can you sense a theme here?) When I opened the package, it didn’t look like much—three carefully wrapped pieces of stick-like roots with a bit of green leaf attached to each. Once in the garden, though, they quickly put on new growth and bloomed for the following year. And there they grow, living reminders of Laura’s wildflowers right outside my door. Ground cherries are relatives of tomatillos, native to the places like Kansas. Maybe Caroline Ingalls first grew them during her Little House on the Prairie years. Their fruit swells inside papery husks. As Ma mentioned, if your growing season is short, start the seeds inside in spring. I started mine in April in a sunny window and planted them in the garden around Memorial Day. By August, I had fruit setting on the sprawling plants (about three feet high and six feet wide), but I didn’t know how to tell when they were ready to be picked. I asked one of the vendors at our weekend farmers market, and she gave me a great tip. Ground cherries fall off the plant when they are ripe. Harvest is easy—just pick them up off the ground. They made delicious preserves. 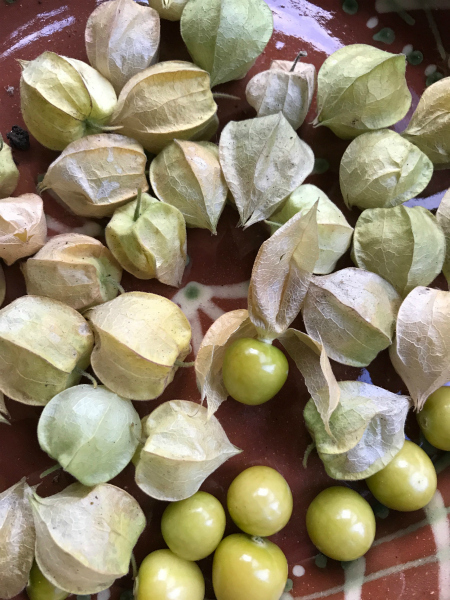 I ordered a packet of “Aunt Mollie’s Ground Cherries” from Baker Creek Heirloom Seeds, and, you guessed it, they are located in Mansfield, Missouri, a mere seven miles from Rocky Ridge Farm. Whether its wild plums from Plum Creek or pumpkins from Farmer Boy, pick a Little Houseplant and add it to your pioneer-inspired garden for this year. You can have a Wilder garden too. 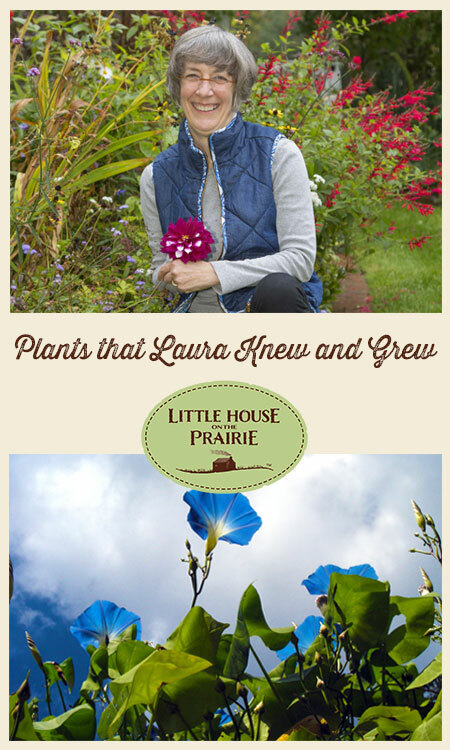 Marta McDowell has written a wonderful book entitled The World of Laura Ingalls Wilder: The Frontier Landscapes that Inspired the Little House Books, which lists the beautiful plants Laura knew, grew, and loved. There have been many interesting books written about Laura Ingalls Wilder and her daughter and editor Rose Wilder Lane. We invite you to visit our Recommended Reading lists for children and young adults and adults. You may also be interested in a documentary film about Laura Ingalls Wilder. 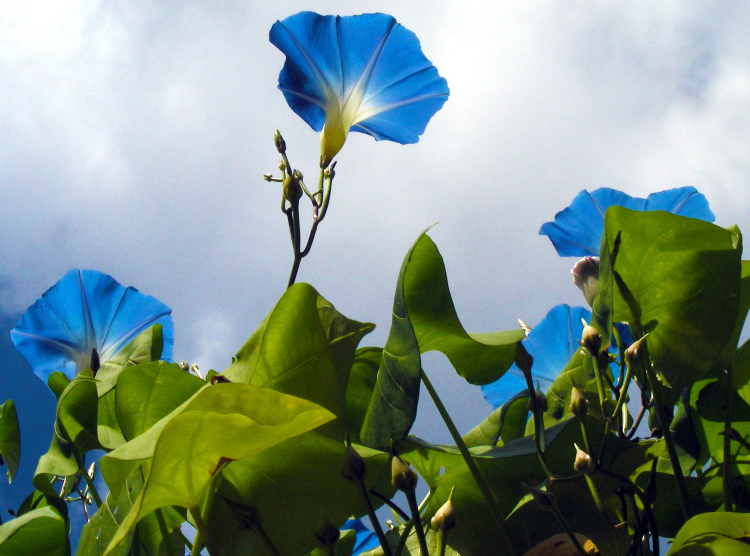 One summer I grew the blue Morning Glories around my back door. I used hangers for them to climb and not get in the way. Unfortunately the land lord had some guys come and do some maintenance on the exterior of the house, and the Morning Glory vines were ripped off and thrown away. That really hurt. The flowers are lovely. Morning Glories are one of our favorites. Now you’re inspiring me to get some Morning Glories and plant them. Not sure if I will make it this growing season but I’m going to next year.